This non-smoking hotel in Boryspil offers a 24-hour front desk and a drinks bar. Guests can arrange to be picked up at Kiev International Airport, just 5 km away. The air-conditioned rooms at the Old Port Boryspil feature satellite TV, a minibar, and an elegant bathroom. The Wi-Fi connection and all international telephone calls are free. A continental breakfast is brought directly to you each morning. Guests can also enjoy a drink at the hotel bar. Facilities for disabled guests are also available at the Old Port Hotel Boryspil. 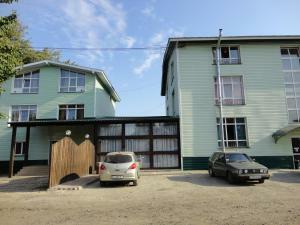 This hotel is located in the city of Boryspil, 8 km from Boryspil International Airport. Free Wi-Fi, a sauna and a 24-hour reception are featured at Galant Hotel. The bright, air-conditioned rooms offer warm-coloured interiors and classic-style décor. Each room comes complete with a TV and a minibar, and some room include a private bathroom. The on-site restaurant is located on the ground floor and serves European cuisine. Sputnik bus stop is 10 metres from Galant Hotel, while Boryspil train and bus stations are 1 km away. Kiev City Centre is 36 km from the hotel. Decorated in neutral colours, the air-conditioned rooms at Ligena feature satellite TV, and a work desk. Each room has an en suite bathroom, which comes with toiletries and slippers. Traditional Ukranian and European cuisine is served in the restaurant, and breakfast is provided each morning. Guests at the Ligena Hotel can relax in the steam room or garden, and the hotel also offers a gym. Borispol city centre is 2 km from the hotel, and the Borispol History Museum is 5 km away. 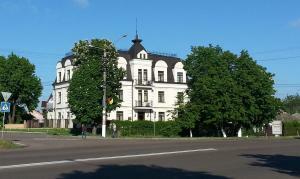 Borispol Train Station is 3 km away, and the hotel offers a shuttle service to Borispol Airport. Free private parking is available. Ukrainian cuisine, free Wi-Fi and a Russian steam bath with cool plunge pool are features of this hotel in Boryspil. Free private parking is available, and the M03 motorway is just 100 metres away. Spacious, non-smoking rooms with a dining area and cable TV are provided at the 4 Seasons. Each room is decorated in a different colour, with attractive wall paintings of flowers and landscapes. Guests can visit the 4 Seasons’ hairdressing salon or gift shop during their stay. Reception is open 24 hours a day. Sotsgorodok Bus Stop is just 100 metres away, providing a fast connection to the city centre. Boryspil Airport is 5 km away. 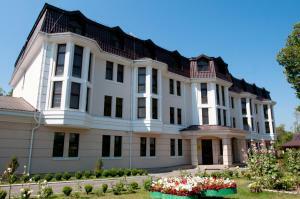 Villa le Grand Hotel is located in Boryspil, within a 5-minute walk of the central park. Free Wi-Fi access is available in all areas. This air-conditioned room features a TV with satellite channels. The bathroom comes with a hairdryer. Guests can order a meal in the hotel’s restaurant, serving dishes of Ukrainian cuisine. Kiev is 20 km away. Private transfer is provided from and to Boryspil Airpor, located 7.5 km from Villa le Grand Hotel. 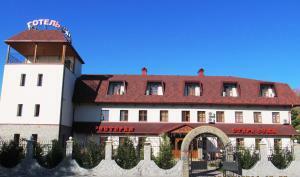 Air-conditioned rooms, free Wi-Fi and European cuisine are offered by this traditional-style hotel in Borispol. The Stara Vezha Hotel has classic rooms and suites with a flat-screen TV and classic décor. All include orthopedic beds and a private bathroom with free toiletries. Extra facilities are provided for families with children. Ukrainian and European dishes are served in the country-style restaurant on the Stara Vezha’s ground floor. The reception at Hotel Stara Vezha is open 24 hours a day. Guests can book sightseeing tours and theatre tickets here. Drivers are welcome to use the Stara Vezha’s free car park. Kiev is 20 km away, and the M03 Kyiv-Kharkiv motorway is just 1 km away.